Antibodies against glutamic acid decarboxylase (GAD) have been identified in a number of neurological disorders, including cerebellar ataxia  and stiff-person syndrome (SPS) . Recent studies have suggested a role for glutamic acid decarboxylase antibodies (GAD-Ab) in producing cortical dysfunction in SPS , but the pathogenesis of other neurological disorders with GAD-Ab remains to be fully elucidated. 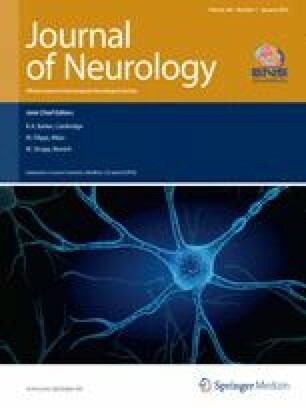 In order to further define the pathogenic role of GAD-Ab in cerebellar ataxia, the cortical modulating effects of GAD-Ab were evaluated in a patient with cerebellar ataxia with GAD-Ab. Dr. Neil Simon received funding from the National Health and Medical Research Council of Australia and the Motor Neurone Disease Research Institute of Australia (grant #1039520). The study was supported by a National Health and Medical Research Council Program Grant (#1037746). The authors declare that they have no conflicts of interest. The study protocol was approved by the South-Eastern Sydney and Illawarra Area Health Service Human Research Ethics Committee. Written consent was obtained from each subject.